Deadly Ultraviolet has increased, by 500% to 3800%, in only 13 years. The high UV explains why the whole planet is dying. This video shows measurements of sunlight, and proof of the increase in deadly UV. 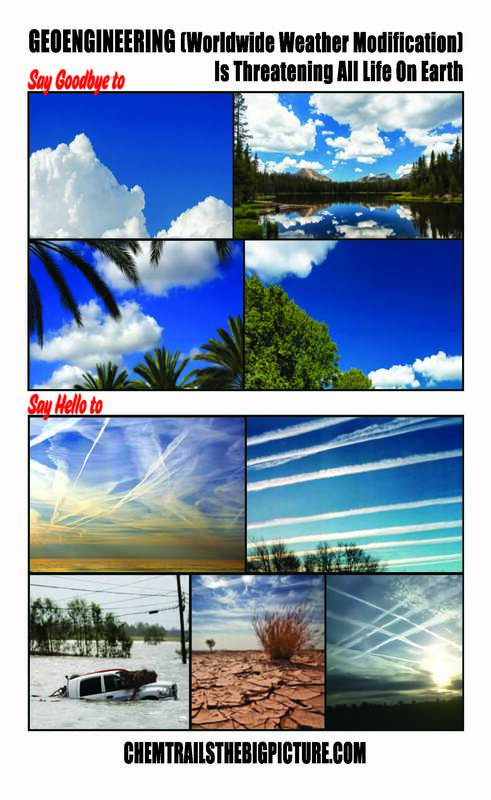 Chemtrails, and Ionospheric Heaters, are blasting holes in the protective Ozone Layer, hundreds of times, every day! In 2002, the ratio of dangerous UVB to “normal” UVA was LESS THAN ONE PERCENT (0.6%). Since then, the UVB has increased to a possible 38%, as shown in the video. This explains the rapid extinction of plants and animals, all over the planet. Scientists in every country, must confirm this data, and work to arrest the criminals, who are behind these programs. This video was made in Texas, when no Ionospheric Heater activity was showing on the weather maps. The closer you are to the ozone holes, created by jet stream control, the more UV you will have. Extreme sunburn is killing dogs in Lancaster, Ca, just north of LA. 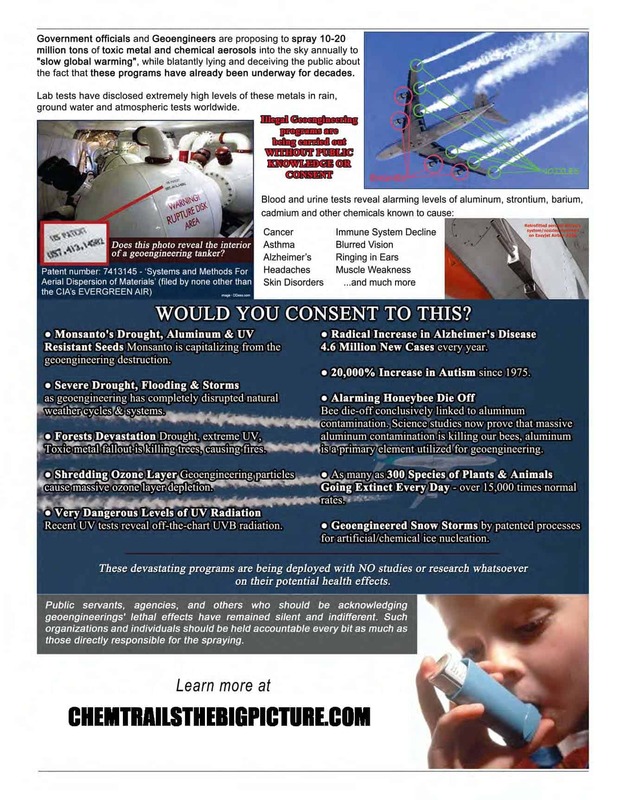 Could there be an Ozone Hole, created by an Ionospheric Heater, at the Naval Air Weapons Station at China Lake (about 90 miles north of the dying dogs and horses)??? Yes, it is very possible! The 2002 Indian paper says that UVB drops twice as fast as UVA, as the sun sinks lower on the horizon, so the summertime ratio is going to be HIGHER, than mid October!!! Our planet is being deliberately killed. Please forward to anyone who can help! Errata – at 3:18, I mistakenly said UVC, when I meant UVA.